Whether it’s neon, neutral, pastel or monochrome, color conveys the tone of your design and helps visually illustrate a story by evoking mood and feelings. Combining these color combos is often the hardest part, in this post we show you how to bring together the correct hues and apply them bringing harmony to your designs. 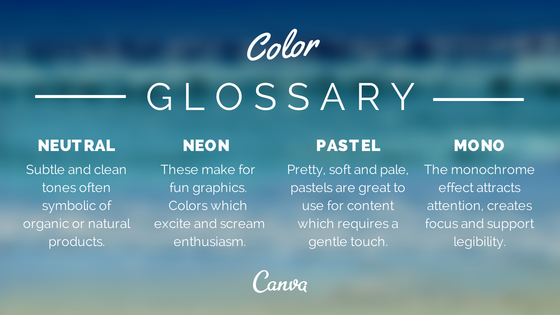 Canva.com com blog puts together an easy guide to basic colour combinations to help make your designs better.